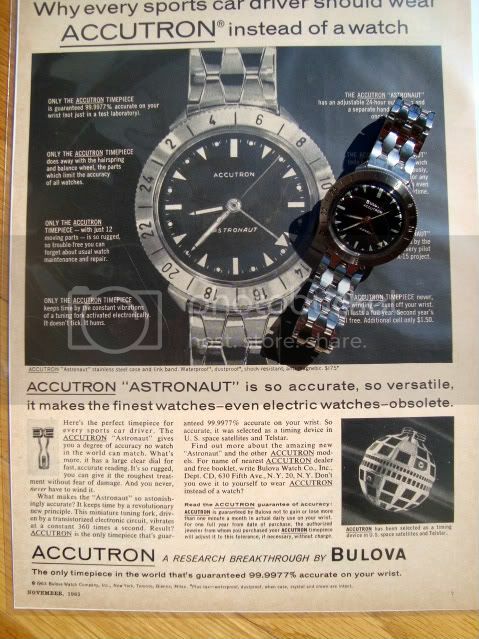 "Offered for sale is my very good to excellent condition M3 (1963) Accutron Astronaut, complete with coffin link bracelet, boxes, instruction pamphlet, battery hatch key, and even a vintage Astronaut ad from the May 1963 issue of Car and Driver! 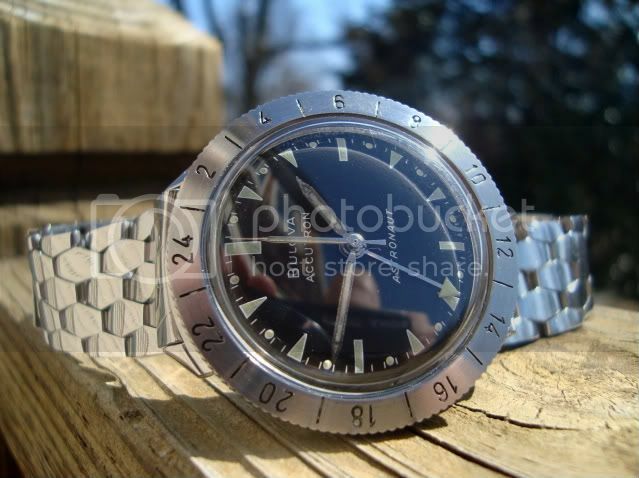 This is a very early production Astronaut, as the movement dates to 1962. The watch was completely serviced late last year, and runs perfectly. 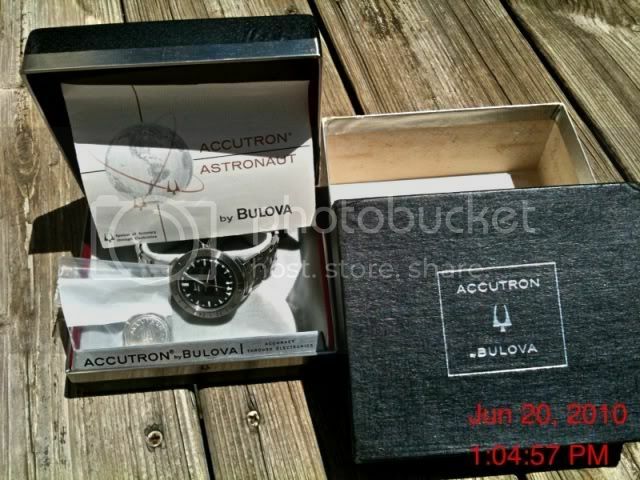 The Astronaut has a fascinating history. . .issued to X-15 pilots, favored by real Astronauts, and worn into space by Gordon Cooper!" Interesting to see the box etc and that period advert. 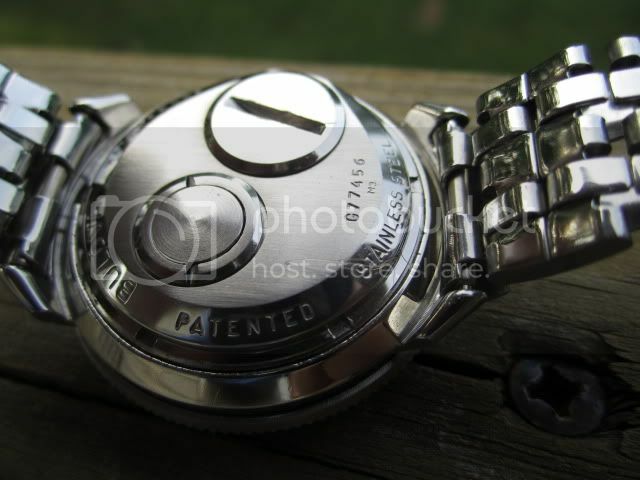 Note the "M3" on the caseback signifying its age. No idea who the seller is but I'm sure he won't mind his photos being posted here and a little help with his sale. Gordon Cooper was played by Randy Quaid in "The Right Stuff". In 1963 Gordo' had just returned from the first overnight spaceflight yet appeared in the parade of stars in one of the pace cars at the Indy 500 that year - he was a racer as well as an astronaut. Most of the astronauts, including Gordo', drove Corvettes. 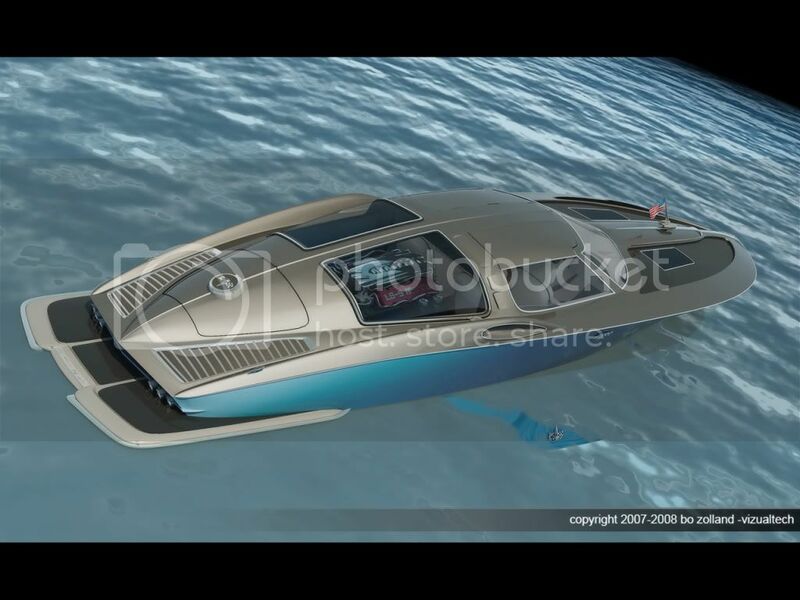 '63 was the first year of the mid-year Sting Rays and the only year with the split rear window. Chevy dropped if for '64 after complaints that the window bar hid motorcycle cops from sight in the rearview mirror.